Dr. Pilar Jennings joins the show for a conversation about healing from psychological trauma and loss with the combined insight of Eastern and Western practices. Pilar Jennings, PhD, is a psychoanalyst in private practice with a focus on the clinical applications of Buddhist meditation. 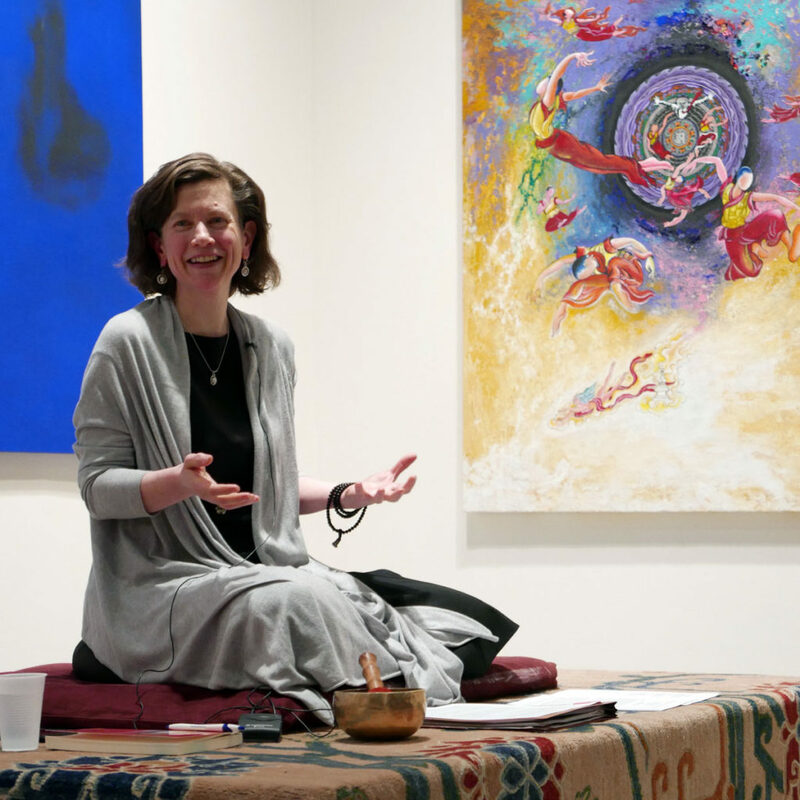 She has been working with patients and their families through the Harlem Family Institute since 2004 and is a faculty member of the Nalanda Institute for Contemplative Science. Learn more about Dr. Jenning’s work at drpilarjennings.com. Healing Trauma (Opening) – Dr. Jennings and Chris begin the conversation by discussing the importance of recognizing all forms of trauma that can impact a person and seeking the right forms of practice or support necessary to heal. Chris speaks with Dr. David Berceli about his innovative approach to therapy for patients suffering from trauma and addiction on Ep. 42 of the Indie Spiritualist Podcast. Learning to Listen (16:30) – Dr. Jennings discusses the eyeopening experiences she had with her first patient, which is documented in the book To Heal a Wounded Heart. She shares the lesson she learned around listening to others and finding the trust in herself in order to be of service to the young girl she was trying to help. We hear about her innovative approach to treatment and how connecting to the suffering of a Buddhist Lama was key in the patient’s therapy. Psychotherapy and Buddhism (22:00) – Chris and Dr. Jennings discuss the common ground shared by Buddhism and psychotherapy. Living with Loss (41:50) – A central theme of To Heal a Wounded Heart is learning to deal with loss. Dr. Jennings talks about the role that loss plays in becoming a catalyst for our healing and growth. Visit 1440.org/BeHereNow to check out upcoming retreats from Be Here Now Network favorites like Sharon Salzberg (March 16-18, 2018) & Rev. Angel Kyodo Williams (Jan. 28 – Feb. 2, 2018).